As summer nears, it's important for people in the U.S., especially outdoor workers, to be well-informed about the Zika virus. WASHINGTON — As summer nears, it’s important for people in the U.S., especially outdoor workers, to be well-informed about the Zika virus. The Centers for Disease Control and Prevention and the Occupational Safety and Health Administration last week urged employers who hire outdoor workers to make sure they’re aware of risks of exposure to Zika through mosquito bites and to train them on how to protect themselves. Dr. Pineet Chopra, the chair and medical director of observation and emergency services at Doctor’s Community Hospital, says one way of preventing mosquito bites is through insect repellent, but the repellent should be certified by the U.S. Environmental Protection Agency. “And the point ultimately is that insect repellent should actually repel the mosquito from biting you. That’s where it actually helps in the Zika virus case,” Chopra said. If you’re an outdoor worker in a mosquito-prone area, you may want to consider insect repellent clothing. The guidelines also call on employers to reduce mosquito breeding grounds by removing standing water from work sites. 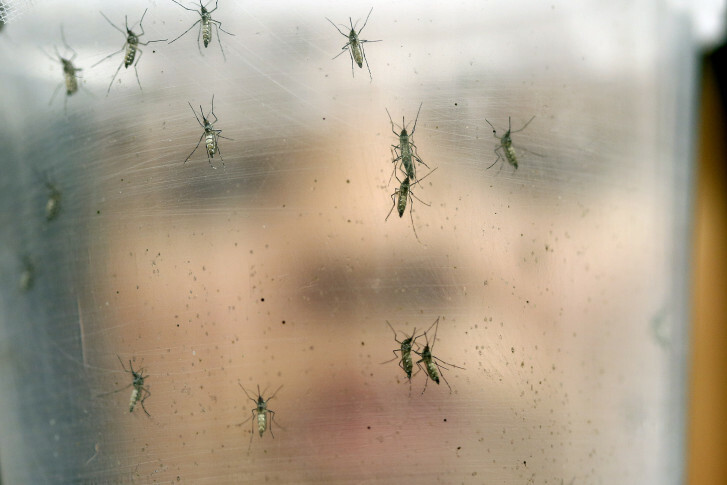 And to reduce mosquito bites, employers are being asked to consider reassigning pregnant workers, or female workers who may become pregnant, and male workers with pregnant partners.